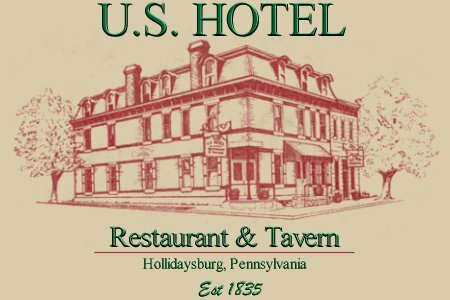 Relax in the comfort of our nineteenth century dining rooms and enjoy the freshest and most unique cuisine in Blair County. We offer a full wine list, daily features, private dining rooms, banquet facilities & catering. Think of the U.S. for your next special occasion, business meeting, or catering needs. We accept Visa, Mastercard, Discover, and American Express.